When you select a nursing home for your loved one, you assume that they will take care of them as if they were their own. You expect that they will handle not only medical needs but nutritional and keep your loved one adequately hydrated. Sadly, too many cases of dehydration and malnutrition leave residents in emergency rooms or suffering serious injuries (sometimes fatal) in the United States each year. It is one of the most common forms of abuse and neglect in nursing homes, and hundreds of patients die per year because of it. In fact, it is estimated that one-third of the 1.6 million residents of nursing homes in the country may be dehydrated or suffer from malnutrition, according to The Commonwealth Fund. Malnutrition and dehydration can aggravate or cause catastrophic medical conditions, including tooth decay, anemia, broken bones, and organ failure. In some cases, severe dehydration and malnutrition can lead to premature death. Dehydration is a loss of body fluid. According to the American Medical Association (AMA), a person is dehydrated when they lose three percent of their total body weight in water. While that does not seem like much, the human body is comprised of mostly water, and taking away even three percent can be fatal. Dehydration can occur in numerous ways, and not all are neglect or abuse. For example, a serious illness can leave a person dehydrated – such as the stomach flu. However, a nursing home is required to ensure their patients are hydrated, even if that means using intravenous fluids until the resident can drink fluids physically. Dehydration typically occurs in a nursing home from outright neglect. Staff members may forget to monitor patient water intake or outright refuse patients their water. A clear majority of these patients cannot get water themselves; therefore, they rely on their caretakers in a nursing home to keep them hydrated, bring them water, and listen to their requests for more water. Once dehydration becomes too severe, a person may show other signs including difficulty breathing, convulsions, and vomiting. Malnutrition is the next form of neglect and abuse in nursing homes across the country. Malnutrition is a serious condition that occurs when a person receives no food or an unbalanced diet that does not provide them with the minerals and nutrients they need to thrive. A person can suffer from malnutrition from a lack of food or lack of proper foods in their diet. Sometimes, nursing homes provide the wrong serving size to their residents, which prevents them from getting enough food and nutrients every day. Other times, nursing homes fail to feed residents or refuse to feed them as a way of punishment. Some residents also might suffer from disabilities or dental issues that prevent them from feeding themselves, and they rely on nursing home staff to help them eat. When nursing home staff do not assist these residents, they may go days without meals. Typically, if a resident cannot feed themselves, they are prescribed feeding tubes. Sadly, the Centers for Medicare and Medicaid Services (CMS) have cited hundreds of nursing homes each year for not using feeding tubes correctly or failing to insert them properly. Depression is a serious condition and growing problem in nursing homes. When residents suffer from depression, they may have appetite loss or refuse to eat. While they are declining, it is still the responsibility of the nursing home to seek medical intervention for their residents and prevent malnutrition. This might include anti-depressants or medications that improve their appetite. Illness – When a resident is ill with a virus, infection, or suffers from a medical condition, it can affect their hydration and nutrition levels. Nursing home staff are required to monitor patient conditions and report them to in-house physicians if they suspect an issue. They must also seek medical care for that resident if a severe illness affects their ability to eat and drink. Special Diets – Some residents are on special diets in nursing homes, but the food itself might be unappetizing; thus, resulting in a resident who refuses to eat. Cultural Differences – A resident might refuse food if it does not match their cultural food needs or what they are accustomed to eating. Vitamins – To ensure patients receive all nutrients necessary, nursing home staff are required to provide liquid supplements in addition to providing nutritious meals. Sometimes, nursing homes will give liquid supplements in place of food or nutrient-rich, well-balanced menus. Lack of Care – Lack of care plans, dietary plans, and attention can lead to dehydration and malnutrition. Most nursing homes in the United States are grossly understaffed, which is why it is no surprise so many residents per year are affected by this type of neglect. Regardless if your loved one has a condition or a risk factor, you have hired that nursing home to take care of them. Nursing homes are held to a higher standard of care because their residents pay for that care. 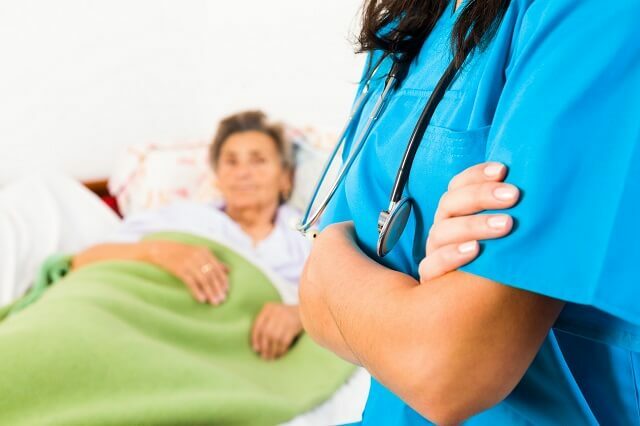 When malnutrition and dehydration occur because of neglect from nursing home staff, you can file a lawsuit against the nursing home and employees responsible for your loved one’s injuries or death. A lawsuit not only helps with compensation but prevents further injuries to your loved one and other residents still inside that nursing home. To file a lawsuit, it is best that you speak with a nursing home abuse attorney right away. An attorney will assess your case and help determine who is responsible. Furthermore, they can file the lawsuit and complaints against the nursing home and speed up the process of receiving a settlement. Your attorney also holds the nursing home accountable, can force them to change policies, and ensure this type of neglect does not happen again. If your loved one suffers from dehydration and malnutrition due to neglect, and you have filed a lawsuit, your lawsuit will end in a few different ways. Sometimes, the case is settled out of court during private negotiations. Other times you must take the case to trial, and a judge or jury will decide. Most likely, your case will head toward arbitration or medication, because this allows for negotiations, but also has a third-party oversee those negotiations and complete the process. Most nursing home neglect cases settle outside of court. Settlements are cheaper than taking the case to trial, and they help you, and your loved one receive compensation quicker than waiting for a court date and judge to decide. When you settle out of court, you can also reduce the stress on your family, and ensure you and your family get back to your lives as quickly as possible. If you suspect that your loved one is being abused or neglected, contact the authorities, then speak with an attorney at Malman Law. We understand how difficult it can be to deal with a situation like this, and you might not be sure that your loved one was abused or neglected. Let our team conduct a background check, review the records, and complete an investigation so that we can help you not only put your concerns to rest but receive compensation for your loved one’s pain and suffering. Speak with an attorney from our law office today at 312-629-0999 or request more information online.